Thanks to GoPro now you can get up close and personal with the big cats -- and the Lion Whisperer at work. 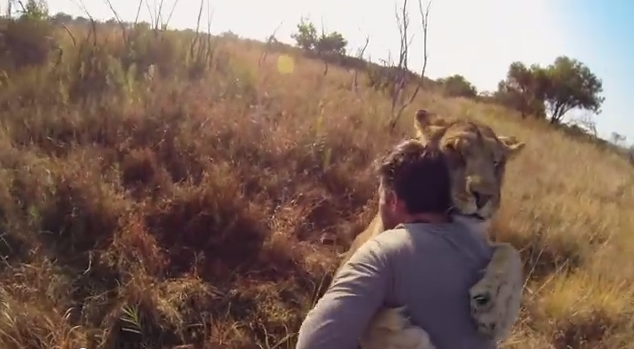 Kevin Richardson straps on his GoPro and lets us witness his relationship with lions and hyenas. GoPro is famous for video cameras that let you document first-person views of extreme sports. I see it used for bikers, skateboarding and skiers. But into a pride of Lions? It gave Richardson an opportunity to talk about his conservation work. Think about it. Whatever work or message is important to you. You can make it so much more real to people when you document it in images. Project 365 idea - Demonstrate a unique angle of your work or cause that you support.